Hello there and Happy New Year- a bit late I know but we have been very busy since we got back from Spain as we have had my sister and her kids to stay so I have only just got back into something of a normal routine. That of course means we are all back at work and school which is very sad – especially as the weather here is so foul and wet. We had a brilliant holiday again – I have some pics for you but most of the family and activity pics are another camera so all you have here is a few of my architecture ones. 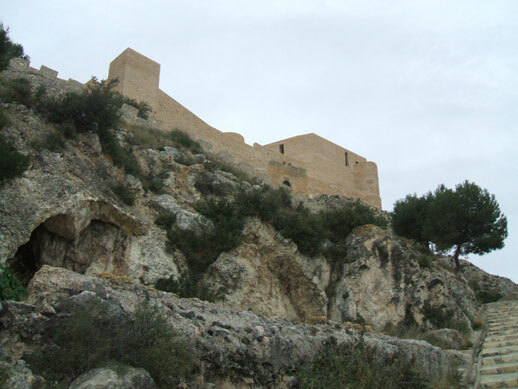 The weather was good – it rained the first few days while we were in Valencia but since we were inside doing museums etc. that did not matter. The rest of the time it was lovely – even hotter on Xmas day on the beach. I was wearing jeans and was burning up and had to keep going in the sea for a paddle to cool down! I had some lovely Xmas presents – mainly books and videos including ‘The Long Way Down’ with Ewan McGregor and Charley Boorman which I am watching now. This is a sequel to their ‘Long Way Round’ series and is just as fab. I will have finished watching it soon so can start reading the book. Also got Micheal Palin’s ‘New Europe’ book – I watched the TV series recently and it is another book that I wanted so that one day I can do the route myself. Not too sure that I will do the Long Way Down route but would like to visit Ethiopia as it looks fab. Kids were very happy with their gifts too – Jake got a Wii and games for it – we took that to Spain so the whole family could play. Ellie also had a Wii game, ‘My Sims’ , and has made a very cute town. Ellie and I are big Sims fans – see the link for more info on this fab game and she got (well it was for me really) the latest expansion pack Bon Voyage where they can go on holiday (something I really like doing!). The castle was closed but we still walked up to it and then into the little town where there were some lovely old houses – some sadly in disrepair like this wonderful one near the town hall. 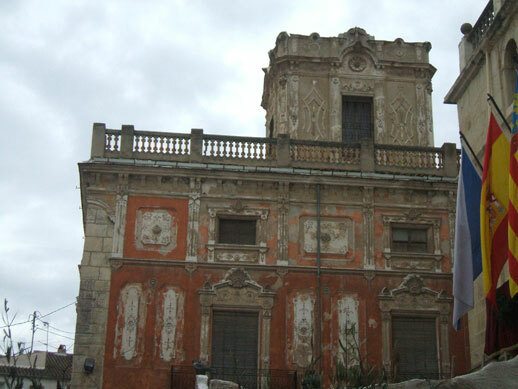 That is why I love Spain – even in the smallest place you can find these amazing buildings. We then went back to Alcoy where we went at Easter to see the Moors and Christians festival and I got to indulge in my great passion – which is looking at doors. The children think that this is very funny but in Spain (and all of Europe) they have the most fantastic doors on the apartment blocks and churches and I have been taking pictures of favourite doors for years. 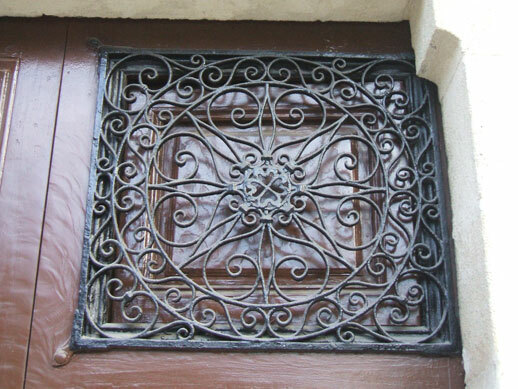 One day I will publish a ‘Book of Fabulous Doors’ but I also want to use some of the Spanish doors as inspiration for developing blackwork patterns – they have the most wonderful ironwork grilles on them. 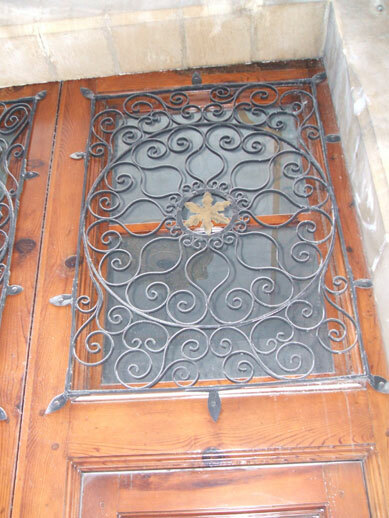 My aim at some point this year is to create some blackwork based on one of these doors and get the pattern published. We also went on some very long bike rides which were great. I am very sad to be back in the wind and the rain and am very much missing the mountains and the outdoor life – we will not be back at the house for a while so I will just have to look at the pics and dream! I also got lots of stitching done and have completed a whole load of snowflakes for next year’s Xmas fundraising events. Will post some pics of those later.